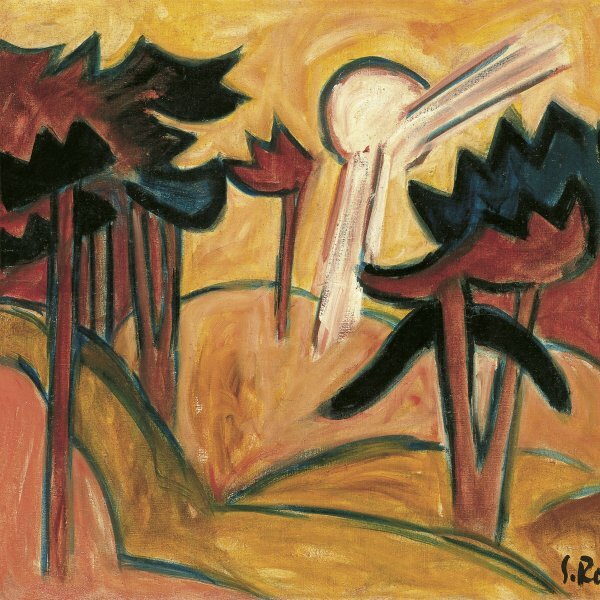 Karl Schmidt was one of the leading members of the first German Expressionist movement in painting. At the Chemnitz School he coincided with Erich Heckel, and in 1905 followed his footsteps by moving to the city of Dresden to study architecture and paint as a self-taught artist. Together with Heckel, Ernst Ludwig Kirchner and Fritz Bleyl, he established the Expressionist group Die Brücke (The Bridge) in 1905 with the intention of seeking a new pictorial language to break with the past. 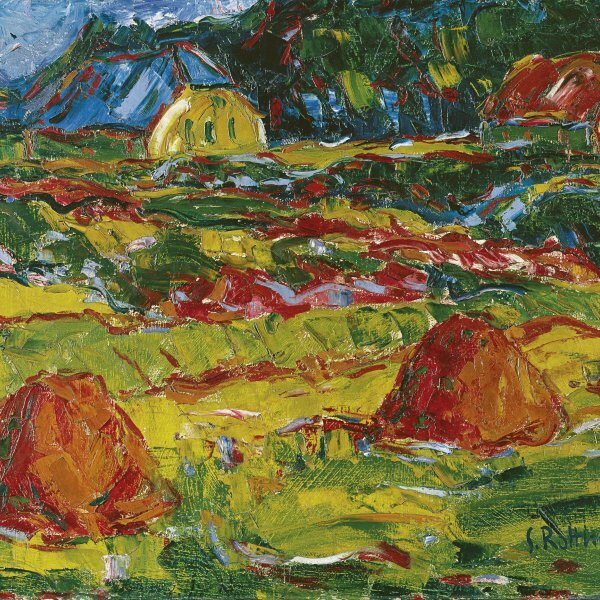 At this point the young Karl Schmidt added his birthplace to his surname, becoming Schmidt-Rottluff. During the summers of 1907 and 1912 he went to Dangast to paint with Heckel and in 1911 he followed his colleagues to Berlin, where he spent the rest of his life. Schmidt-Rottluff fought on the Russian front during the First World War. When the Nazis came to power his recognition faded and he came to be considered a “degenerate artist” in 1937. He was expelled from the Reichskammer der Bildenden Künste, his paintings were removed from museums, and he was banned from exhibiting his work. During these years of forced exile, he spent long periods by Lake Leba in east Pomerania, where he produced many watercolours. His studio was destroyed during the Second World War and much of his work was lost. In 1947 he was hired as a lecturer at the Hochschule für Bildende Künste in West Berlin, where he greatly influenced the new generations of painters. In 1964 he was the main promoter of the Brücke-Museum in Berlin, which opened in 1967 with works donated by the members of Die Brücke. His Expressionistic style of vigorous brushstrokes and vibrant colours evolved from an early period influenced by Van Gogh towards flatter and more synthetic forms. Like his colleagues, he made many woodblock prints and was the first of them to experiment with lithography.